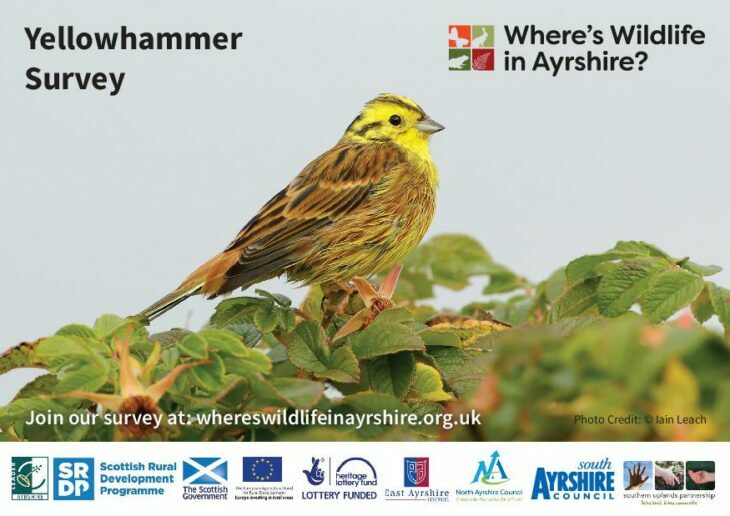 Yellowhammers Emberiza citrinella can be observed all year round. 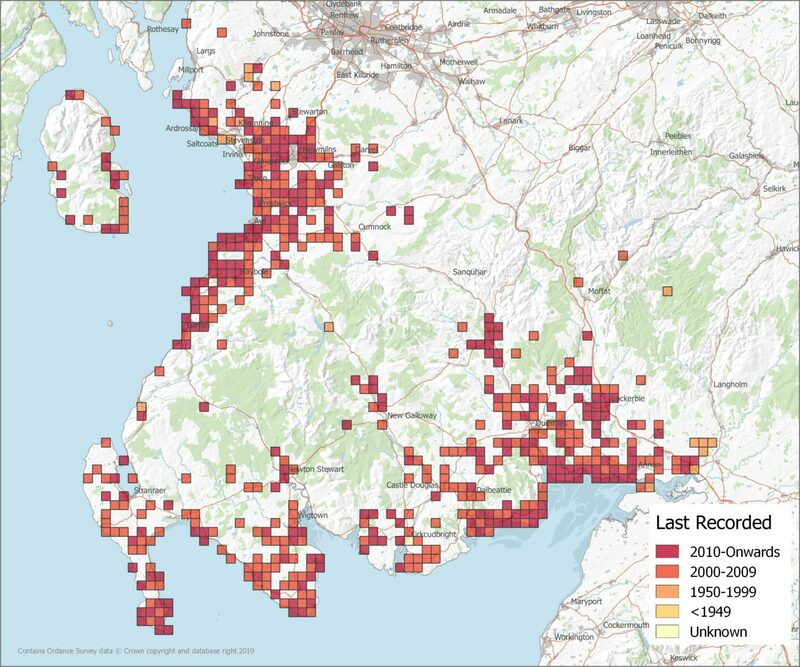 The population has declined significantly in both distribution and number since the 1970’s, which has made them a Red List species in the list of Birds of Conservation Concern. We want to learn more about where they are found in our region. They eat insects, seeds and like to perch on hedges to sing their distinctive ‘a little bit of bread and no cheese’ song. Identification: About the same size as a house sparrow. Males have a bright yellow heads & body with dark red/brown streaked pattern underneath. Females, are duller brown with a yellow tinge and can be mistaken for other buntings, including Reed buntings. When flying you can see white outer tail feathers. 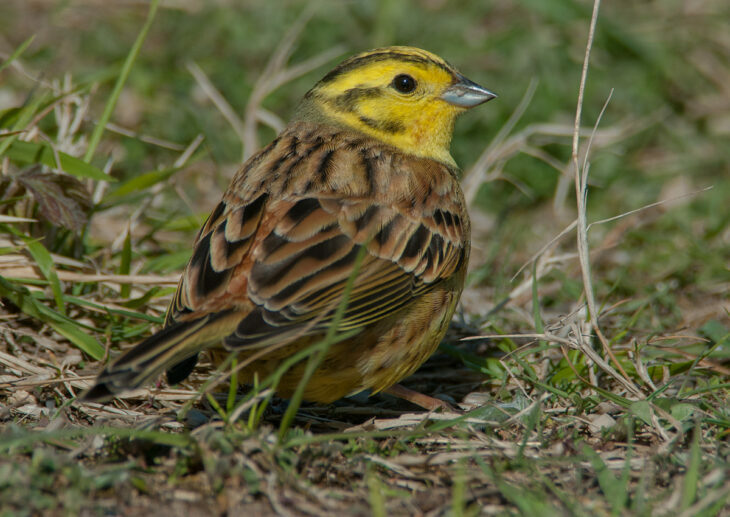 Visit the BTO website to discover more facts about Yellowhammers.